Eliminate Chiggers Once and For All. AllPest Exterminating. Eliminate Chiggers Once and For All. AllPest Exterminating. Chiggers are considered to be one of the most annoying and troublesome pests. 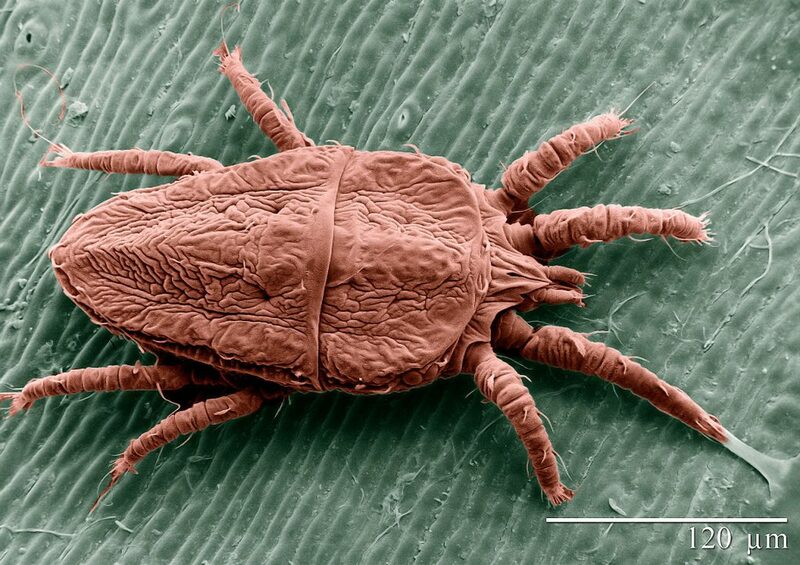 If you have stumbled across these mites in your yard, your goal should be immediate and total elimination of all chigger habitats situated on your property. These pests are known to have a high level of attraction to areas that are moist, have a lot of shade, and have moderate to high levels of vegetation that is considered to be thick. There are a few species of chiggers that do prefer dry areas; though, this is not common. The prime habitats for these mites include covers over the ground, lawns that are overgrown, leaf debris, areas that include a large amounts of weeds, and shrubs and trees that are planted densely. If you are tired of the painful and irritating chigger bites, continue reading to learn how to eliminate these pests. The lawn should be mowed on a regular basis. It is essential that your grass is kept as short as possible – especially in areas where the grass come in direct contact with wooded areas and landscape beds. If your lawn includes landscape beds, it is imperative that you remove all weeds on a regular basis and that you keep the beds free from leaf debris. Plants that are designed to improve the appearance of your landscape may easily become overgrown. Make certain that you schedule the time to prune and trim these plants on a regular basis to avoid a chigger infestation. If there are brush piles situated on your property, remove them as quickly as possible. On the most part, chiggers do not like the sun. By reducing the amount of shade throughout your property, you can reduce chigger populations. If you store wood on your property, obtain a storing rack and place it as far away from your home and the heavily used areas of your yard as possible. If your yard has trees, it is important that you avoid allowing the leaf debris from those trees to pile up in the yard. If this happens, it is likely to attract chiggers. While it is true that there are several pest control products that are said to elimination chiggers, there are not that will completely and quickly eliminate entire populations of chiggers. If you have performed the lawn maintenance tips previously outlined and find that you still have an issue with these annoying pests, it is imperative that you reach out to a professional pest control company, such as All Pest Exterminating. We have commercial-grade pesticides that are designed to eliminate the infestation at their source and rid your lawn of all of those annoying chiggers. Best of all, we place the pest control substance on your property in such a way that it does not harm your plants, your pets, or your loved ones.